Unless otherwise indicated, the descriptions of the use of the medicinal plants relate to Ethiopian traditional herbal medicine practices. ‘Western herbal medicine’ refers to herbal medicine from the tradition of America and Europe. Artemisia abyssinica or Chikugn (Amharic) is a species of wormwood that is traditionally used for intestinal problems, for infectious diseases, and is anti-leishmanial (acts against Leishmania parasites). The whole herb can be used to address tonsillitis, and an infusion is traditionally drunk as a remedy for colds, and sickness in children. Tariku, Y., Hymete, A., Hailu, A., Rohloff, J., 2010. Essential-Oil Composition, Antileishmanial, and Toxicity Study of Artemisia abyssinica and Satureja punctata ssp. punctata from Ethiopia. Chemistry and Biodiversity 7. Asfaw, N., Demissew, S., 2009. Aromatic plants of Ethiopia. Shama Books, Addis Ababa. Used to treat coughs and colds, the fresh leaves are squeezed and the juice sniffed. The juice can also be used as an eye rinse for eye infection. Also used for mich, an infection of fever with headache and mouth blisters. The rhizome (root) of ginger is popularly used in Ethiopia for stomachache and respiratory problems. It is chewed or masticated with ‘feto’ (Lepidium sativum) for stomach disorders. It is also popularly used for its carminative (relieves gas ) and anti-nausea activities. Ginger is equally popular in western herbal medicine and there has been extensive investigation of the rhizome and its constituents. Zingiber officinale has demonstrated anti-inflammatory effects, as well as anti-platelet, antioxidant, antitumour, antirhinoviral and antihepatoxic activities (preventing damage to the liver) (Wohlmuth, 1999). Gedif, T. and Hahn, H.J., 2003. The use of medicinal plants in self-care in rural central Ethiopia. Journal of Ethnopharmacology 87, 155-161. Getahun, A., 1976. Some common medicinal and poisonous plants used in Ethiopian folk medicine. Addis Ababa University, Addis Ababa, Ethiopia. Wohlmuth, H., 1999. Traditional and contemporary uses of ginger. . In: MediHerb Pty Ltd (Ed. ), Herbal Medicine – Practice and Science International Conference ProceedingsWarwick, Queensland. Mills, S. and Bone, K., 2000. Withania. Principles and Practice of Phytotherapy, Churchill Livingstone, London, pp. 595-602. Known to be used for coughs and asthma, as a narcotic and an anti-epileptic in Ethiopia. Research notes other traditional uses for headache (as a dressing), paludism (malaria), ague, fever, stomachache and as a diuretic. The smoke of the burning root is commonly inhaled for ‘Satan beshita’ or ‘devil disease’ (Asres 2001). 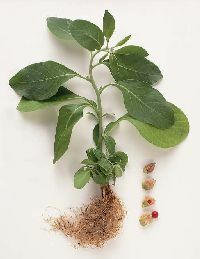 Withania or Gisewa is also found to have antifertility properties and to be traditionally used as a vaginal douche (aqueous extract) for its uterotonic and anti-implantation activity on butanol fraction extract (Desta, 1994). Western herbalists are familiar with Withania (Ashwaganda), and it is used as tonic. In Western herbal medicine, decoction or extract made from the root is a popular remedy from the ayurvedic tradition, as an ‘adaptogen’ remedy and for the treatment of debility and nervous exhaustion, for convalescence and as a general tonic (Mills and Bone, 2000). Asres, K., Bucar, F., Kartnig, T., Witvrouw, M., Pannecouque, C. and De Clercq, E., 2001. Antiviral activity against human immunodeficiency virus type 1 (HIV-1) and type 2 (HIV-2) of ethnobotanically selected ethiopian medicinal plants. Phytotherapy research 15, 62-69. Desta, B., 1994. Ethiopian traditional herbal drugs. Part III: Anti-fertility activity of 70 medicinal plants. Journal of Ethnopharmacology 44, 199-209. 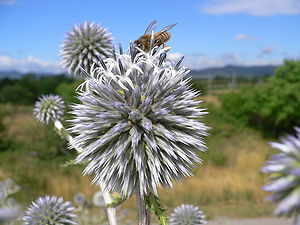 Endemic to Ethiopia, Echinops kebericho, is used for fever and as a taenicidal herb (to expell tapeworm). The smoke from burning the plant is inhaled to relieve headache and also as a cure for “evil eye” (possession by evil spirits in Ethiopian folk religion). The root is burned for smoke to ward off mosquitoes and as a snake repellant in the house. The smoke is inhaled to fight typhus and fever, and is known to be used as a fumigant, mainly after childbirth. The root is also chewed to alleviate stomach ache. Demissew, S., 1993. Description of some essential oil bearing plants in Ethiopia and their indigenous uses. Journal of Essential Oil Research 5, 465-479. Karunamoorthi, K., Ilango, K. and Endale, A., 2009. Ethnobotanical survey of knowledge and usage custom of traditional insect/mosquito repellent plants among the Ethiopian Oromo ethnic group. Journal of Ethnopharmacology 125, 224-229. Teklehaymanot, T., Giday, M., Medhin, G. and Mekonnen, Y., 2007. Knowledge and use of medicinal plants by people around Debre Libanos monastery in Ethiopia. Journal of Ethnopharmacology 111, 271-283. In Ethiopian traditional practice, the roots of Verbena or Atuch, are soaked in water and drunk to expel roundworm, help with snake bite, and relieve stomach ache and diarhoea. A ‘herb of all trades’, Verbena is found to have antimicrobial properties and is traditionally used for treating tropical ulcers. Mixed with olive oil, the juice of the fruit is used as ear drops and a juice made by crushing the fresh leaves, filtering and mixing with honey, is also used to alleviate dry cough in Ethiopia. Yineger, H., Kelbessa, E., Bekele, T. and Lulekal, E., 2008. Plants used in traditional management of human ailments at Bale Mountains National Park, Southeastern Ethiopia. Journal of Medicinal Plants Research 2, 132-153. In Ethiopia, the boiled or roasted roots of Ensilal or Fennel are traditionally used to treat gonorrohoea, digestive disorders and infant colic. The juice of the fresh or dried leaves is used to stem nosebleeds and the plant is also known for its anti-fertility properties. Studies record the traditional use of an oral application of the fresh Fennel leaf as an antifertility remedy (Desta, 1995). 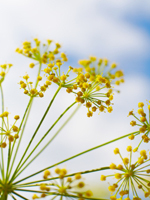 Western herbalists are familiar with the use of Fennel seed as a carminative and digestive; and evidence from randomized, double-blind, placebo controlled trials suggest that Fennel is effective in reducing infantile colic (Natural Standard, 2010). Clinical trials also support the use of Fennel in combination with other herbs for dyspeptic conditions of the upper GIT, including pain, nausea, belching and heartburn; chronic non-specific colitis, diarrhoea or constipation. Giday, M., Teklehaymanot, T., Animut, A. and Mekonnen, Y., 2007. Medicinal plants of the Shinasha, Agew-awi and Amhara peoples in northwest Ethiopia. Journal of Ethnopharmacology 110, 516-525. Desta, B., 1995. Ethiopian traditional herbal drugs. Part I: Studies on the toxicity and therapeutic activity of local taenicidal medications. J Ethnopharmacol 45, 27-33. Aloe vera, or Eret in Amharic, is known for its cooling and cathartic properties. It is used in Ethiopia for fever, spleen and liver troubles, as well as ‘knee troubles in old age’ and ‘eye treatment’. The juice of the plant would be used on the breast of nursing mothers to assist with weaning as its bitter taste would discourage the baby from suckling. The juice of the leaf is also known to be given to a mother in childbirth to ease labour. In western medicine, the fresh juice of the Aloe vera plant is used as a topical application to cool burns, and the juice is taken orally for digestive disturbance. Called Ariti in Ethiopia (Amhar), the juice of the crushed leaves of this plant is mixed with water or honey and administered orally to address stomach pain in Ethiopian traditional medicine practice. The essential oil of Artemisia Afra has antimicrobial properties. In South Africa, it is one of the most popular and commonly used herbal medicines for treating various ailments; from coughs and colds to malaria and diabetes. What is the English name for ‘Dingetegna’? I enjoyed reading the comments and replies. i found it very interesting and informative!! can any one give me some information about mosquito repellent traditional medicinal plants in which their essential oil is found to be effective. Can any one here help me in any harbal medicine available in Ethiopia to cure leshimenia. Hi, I am Rami from Ethiopia. Thank you for the information you posted. I am doing a research in making a herbal toothpaste in Ethiopia and I found the names I needed. Do you know the name of sage leaf and peppermint in amharic? Got it intetesting.So , could any one offer us the details about ‘Salehu Dires’ ,traditional antipain in the northern part of Ethiopia?Tnx. Nation rich in herbal medication and traditional healing.Lets keep and develop our flora. but i cant found አሽኩቲ and ናትራ from the list .if u know these words pls send me by my gmail yassinadem67@gmail.com. what is scientific or English name for “Gibto” ? What is the English name for Agam (Amharic) tree? It is common in the Northern part of Ethiopia and people eat its fruit. I think it is Cranberry tree. What is the English meaning of “Tena Adam”? Please….. Thank you. Awsome, hi thanks for the information😊. I wanted to ask is sage what is called (koseret) in Amharic? What is the English or scientific name of the Astenagir (Amharic) plant ? First of all, I would like to thank you for your commendable work on Etse Fews in Fiche. I live in Addis Ababa and have a baby boy born 7 month ago. My son was afflicted with a skin disease that started on his head when he was about a month old. The disease quickly spread and covered his face, neck, elbows, body,knee joints. It forms either a red or a white patch and a scale that falls off as the baby scratches. We took him to a doctor who specializes on skin diseases. She advised us to discontinue all the soap, baby oil and baby powder we were using as well as to bath him every three days instead of everyday, to give his natural body oil a chance to heal itself. Besides, she prescribed about four types of ointments: one for the head, two for the neck, a fourth one for the entire body. Despite our rigorous application and three visits to the doctors office, the symptoms around his body (torso and back) showed improvement. But he still scratches his head and face. Every morning my wife and I are horrified to find him with fresh scratches accompanied by blood stained T-Shirts and bed-sheets on top of healing scars. A couple of days ago, my sister showed up with a bunch of leaves from a plant called Astenagir in Amharic, which she was advised by another friend will relieve the itching on my son’s head that is causing him to scratch. We were told to topically apply the juice of the leaves on his entire skin twice a day (morning and evening) . Hesitantly, we juiced the leaves (dark green juice) and applied it on his skin in the evening. Next morning, for the first time in 6 months, we were gladly surprised to see our son awoke with no more fresh scratches on either his head or his face. I saw this Astenagir plant grow in the wild, not to mention that it also grows in my kitchen garden (where I grow herbs and vegetables) and were continually annoyed by and weeded it. Now, my hats off to Astenagir, and I will see to it that it enjoys its right place in my kitchen garden. To make a long story short, I came across your website when I was yahooying (googling) to learn the English and scientific name as well as more of this miracle plant. Just in case you have not heard of the name Astenagir, I can provide a picture of the plant so that you can help me identify its English and scientific name. I went through your list of herbs on your website and neither its name nor its picture is on the list. Thanks for your help in this matter. All the best! So exciting to hear Ethiopians are open for Traditional Medicinal treatments. I am herbalist( about to become licensed Herbalist ) and get optimistic as more Ethiopians coming to this platform either looking for information or sharing their experiences. I know there is a knowledge gap between practitioners and patients in Ethiopia. Herbal Medicine is not yet in the mind of Ethiopians’ patients ( urban) as it is not quite known as a legitimate form of medicine. Feeback like yours would intrigue more and more people reaching out Herbal Medicine. I certainly would love to learn about Ethiopian Herbal Medicine and and incorporate in my practice. 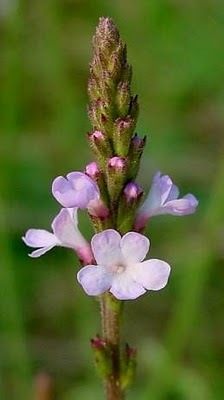 please how I can get on some verbena Atuch from Ethiopia . does bacopa monniera has Amharic name if it exist in Ethiopia anyway? what is English name of Altate? The Ethiopian Biodiversity Institute http://www.ebi.gov.et/ and the Universities in Ethiopia would be authoritative sources for this information. On other hand, I used this part and I say thank you. Hi Lizzi, That is the scientific name. What is it known as by the ordinary person like us? I am really amazed by the sites information exchange, please keep it up and people if you know others in the field please invite them, so that they will contribute their share. These way a large information base will be built that can help our people. Hi I want to know the amharic name for spearmint (mentha spicata) thank you. do you know in english Tenadam ? Thank you for the information. I’m from Wondo Genet Aromatic and Medicinal Plants Research Center. If you can and you want, here is more information about Ethiopian Aromatic and Medicinal plants. Please come and visit us. hey everyone!! im a 6th year architecture student and im graduating this semester and im planing on working ma thesis (graduation project) on Ethiopian endemic plants that need conservation and also some of the systems that we use but are starting to deteriorate because of not sufficient knowledge to be transferred to the next generation !! what do you think about this idea?? Yah. M/r Zelalem Temesgen we have a lot of written information, especially in Biodiversity. Also in woreda level their will be original info. So we have to collect these and other sources to transfer and research purposes. I think Mekmako in Amharic and sientfic name is Rumex abyssinicus. I hope that will help. lissie,the root of Embuay with salt is best for healing wound. Hi Wulex – The Artemisia species generally are creating a lot of interest. I do not have further research from my own work in Ethiopia but there are ethnobotanical studies being produced by universities there with more information coming through all the time. It’s good to see! my name is Khaled Yusuf, I live in Toronto, Canada. Recently a friend of my gave me a herb form Ethiopia. I would like to know what it is before I use it. the name of herb called “Bal qutal” in Oromiffa or Affan Oromo or “fat Kotal” in Harari. If you are familiar with this name could be able to tell me what scientific name is to learn more about it. HI Khaled – I’m afraid I don’t know this one – or am not familiar with the Oromo or Harari names. where can we shop for essential oils in Addis? Hello. What is the Amharic translation for dandelion tea? what do we call it in amharic ‘withania somnifera’ or ‘ashwaganda’? botanical name ‘yohimbe’and also ‘entengo herb’what do call it in amharic? what can I use to reduce my blood pressure? I heard Moqumoquko is good for lowering blood pressure. I hope I spelled it right and if anyone know the scientific name for it I very much appreciate your help. my mother used often to lower her blood pressure and it works. Assefash and this community is the first place I found a mention and a try at the spelling, which greatly helped my search. There are many local Ethiopian studies that can be found under the Latin name. If a donkey eats engudai dies unless given kereshashimbo, and vice versa. digita is used to cure animals skin problem. Aniketa, dign with alchohol for stomach ,koso for tape worms and kitikita for malaria. Hi, I just wanted to add that I have also really enjoyed “tena adam” in my coffee, and Ethiopian friends all had it growing in their yards for general medicinal use. I belong to an organic CSA farm in CT and I just discovered it growing in our herb section! But now I see there is some contradiction between its scientific names– is it Ruta Chalapensis or Ruta Chalensis? I want to share this with my fellow gardeners! Thanks! Hi,i want to know any Ethiopian traditional medicine used to treat epilepsy? I would like to know the English name of Kosaret /kosarat which is used in making berbere powder in Ethiopia. Is it possible to find Echinops kebericho in any store in the US? If yes, where? Thank you in advance! Hi, Kebericho is endemic medicinal herb to Ethiopia. I don’t think the root of this plant ii present in US. keep it up. Interesting & informative content. Thank you for all the in-formations here though I am aware of all has been written and it is good seeing the info’s on public domain. 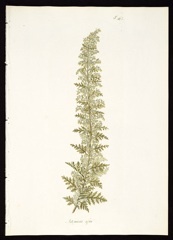 Just to follow up on Chenabaria – that may be a local name for Artemisia afra. The Flora of Ethiopia lists Shinfai as Justicia schimperiana (Acanthaceae), which I believe is Sensel (Amhar), described by Giday et al 2007 as used for skin lesions. I have not come across Tena baria yet. All the best with your studies! The householders at Fiche described the use of the seeds of Lepidium sativum, (feto) ground with lemon juice and mixed with water and taken orally, to treat megagne, or unexplained stomach ache, but no mention was made of its use as an insect repellent. Is there anybody know if there is herbal Pharmacy in Ethiopia? Is it legal to prescribe Herb in Ethiopia? I live in US and study Chinese Herb and Alternative Medicine but i am so interested to integrate Ethiopian Herb if it is prescribed to patients on individual ailement basis. will keep surf this website. Shiferaw (haleco) or Moringa is good for b.p. Hi, I found the information on the herbs quite helpful. May I know the Amharic names of these plants; Gravel Root & Hydrangea? Are they available in Ethiopia? Tnx a lot! Hi Elsabeth, Feto is Lepidium Sativum or Garden Cress in common English. it is being applied for (mitchi besheta) skin inflammation specially around the lips & nose after flu or viral infection. make paste with water. My mom’s favorite.she used to say,lemanegnawem feto medanit new.translates for everything Feto is medicine. Ethiopian old gedams ZEGE ,NARGA ,DEK ESTIFA, Around Bahrdar,Gondar,Zeway Island, & others. High blood pressure can have many causes, and it is best to speak to a health care practitioner who is qualified to help you. Are you in Ethiopia? A herbalist in Ethiopia would in most cases be more qualified than I am to discuss Ethiopian herbs helpful for managing the symptoms associated with high blood pressure. There is a shop called Ariti Herbals in Addis which might also be able to direct you to the right place, if you live in that area, and they have a range of herbal teas that would be helpful for nervous system support, and Ecopia. Both of these places have websites. From my research, herbs mentioned as having hypotensive properties include Digita (Calpurnia aurea), Abish (Fenugreek: Trigonellum foenum-graecum), Nech shinkurt (garlic: Allium sativum), Attuch/Telenj (Verbena officinalis). All are mentioned as being used as a tea, but a herbalist will tell you the right dosage and how to administer, and what is safe for you to use. I hope this is helpful for you. I am desperately looking for the Ethiopian herb called: “Adam’s Head”; it is fuzzy & has a strong smell, while fresh or dried, but a very pleasant taste as a medicinal tea. Used by the Ethiopians for all kinds of ailments. Can anybody tell me the botanical name & if we can find it in either the US or Europe? I’m not familiar with this, and my research so far has failed to find reference to this herb by this name but I will ask at Addis Ababa University and the Institute of Biodiversity Conservation, and keep it in mind on my searches. Certainly if we can find a botanical name that would help. I will let you know as soon as I find out anything useful. How did you come across it? Abi and Mohammed have come up with the right answer I think. I wasn’t aware of the name “Adam’s Head” but “Tenadam” (Amharic) or Ruta Chalapensis is commonly found in Ethiopia and is as you describe. I saw it in many areas and is a popular herb and well known by many. It has a lovely smell and at one coffee shop in Addis it was placed on the saucer for me to add to the coffee. I will feature the herb soon on the blog, with more information. You are quite right about its role in the coffee cermemony. Does it have any relationship to Ruta which we have in Italy? I tried it in my coffee the other day, but the effect was different and much less potent. Can the herb be found in UK or europe? If it is ‘Tena Adam’ that you are looking for , the name Is Rue; and yes it can be found both in Italy and the U.S. The plant you are looking for is ,in Amharic Tena Adam,in English Rue and in German Weintaute. Yes. You can buy it in a Spanish store. I grew it when I lived in Maryland, US. the Spanish use it against evil eye.